Now you can add a little beauty and class to your gas lantern with our beautiful Spindle Design open flame burner. and the Acorn Burner Tip, large "fish tail" flames giving you beautiful and unique lighting effects for your gas lantern. NOTE: Acorn Tip is no longer available for Propane (LP) set-ups. 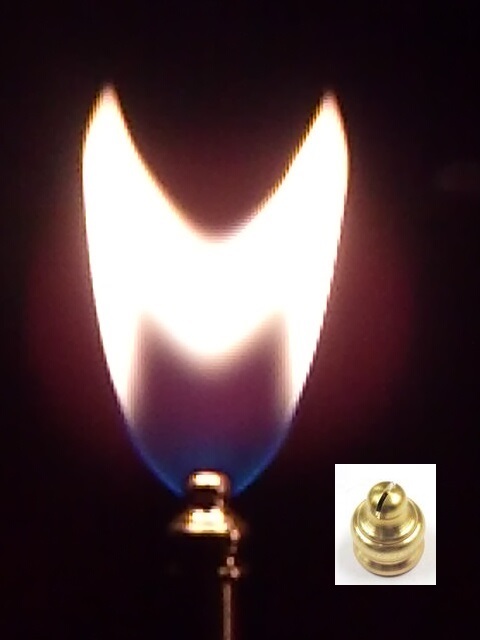 We are replacing the Acorn Tip with our new "Pyramid Knob tip"
in all Propane (LP) burner setups. Please verify your lantern has proper ventilation at the top and bottom of the lantern. Lanterns with more than one flame may require extra ventilation to burn properly.